Dr. J ready for clinic! 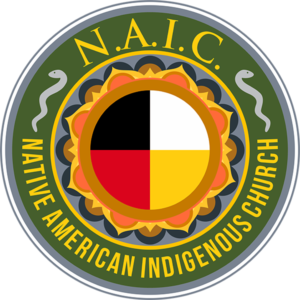 The Native American Indigenous Church “NAIC” is proud to offer our Native Tribal Organization member a full spectrum of wellness screening assessments. Obtain a wellness, health checkup within 30 minutes, and have your results sent instantly to your eBox. Find out quickly your glucose, cholesterol, and uric acid levels, your pH balance, heart health (ECG), arterial health, liver and kidney function, and other parameters. Metabolic syndrome X today is epidemic. “Insulin resistance syndrome”, “American syndrome”, and “syndrome X” are synonyms for the term metabolic syndrome X. Diabetes means that your blood glucose (sugar) level is too high while your energy levels are low. Full blown metabolic syndrome X also means you have high blood pressure, cholesterol, and abdominal obesity. Metabolic syndrome is the name for a group of risk factors that raises your risk for heart disease and other health problems, such as diabetes and stroke. Whe you visit a doctor for a ‘check up,’ it is foremost on his mind. The term “metabolic” refers to the biochemical processes involved in the body’s normal functioning. A syndrome is a set of medical signs and symptoms tested that are correlated with each other and, often exist with a particular disease or disorder. Risk factors are traits, conditions, or lifestyle habits like diet, that increase your chance of developing a disease. Our vital screening battery of tests measure those risk factors in less than 15 minutes and send the results to your eBox instantly. The risk for diabetes increases with age, making diabetes common in older adults. Most adults by age 60 are already pre-diabetic and over 25% are diabetic. Point of Care Wellness testing is well established in the International Medical World. “POCT has become established worldwide and finds vital roles in public health. Many monographs in the Thai and Indonesian  languages emphasize POCT as the normal standard of care in disaster situation. Please Note: NAIC: SomaVeda® Thai Yoga Ayurveda and Indigenous Traditional Medicine is not just an ancient healing art and science with deep roots in the past! Our practice is well established in this modern times. It is elegant, sophisticated and evolving. One of the primary modern adaptations is to make use of modern, scientific analysis and wellness screening to support the traditional native (aboriginal) medicine and healing practices. All test are performed by Certified Vitalologist Technician and or Monastic Medical Doctor (NAIC Authorized Medicine Man or Women). Your Vitality Wellness Screening Assessments may include some or all of these individual test. Acid/ Akakaline Ball=ance: Bodily energy production depends upon stabilized ionic fluids with potassium, calcium and magnesium salts from fresh fruits and vegetables. Find out if your eating enough! Breast Thermography Screen: 8 point exam using FLIR Infrared Imaging. Thyroid Thermography Screen: 2 point exam using FLIR Infrared Imaging. All of the reports performed are sent to your email for your private records and review. 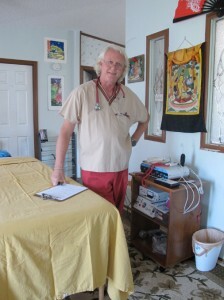 Further consultations and traditionally based wellness and healing protocols may be recommended or performed. Vitalology™ is the subject of study; a branch of knowledge; assessment and practice of cultivating the state of being strong, active, and energetic by building vitality and health through specific wellness, lifestyle, nutrition, diet, energetics, and educational/informational programs. Vitalology™ is a wellness art and lifestyle for the 21st century. To summarize, our three vital nutrients are Sunlight, Oxygen, and Water. Food is the stored energy to make life function and allow our bodies to work and think! Any imbalance or deficiency of sunlight, air, water, and food, will first make the body weak, and in time, perish. The fundamental of our philosophy we call vitalology™. Vitalists subscribe to the use of health building foods, herbs, minerals, waters, flowers, seeds, barks, roots, essential oils, in their natural state, sunshine, fresh air, bathing; as well as exercise, meditation, sun bathing, prayer, dance, chirothesia, and other vitalistic arts. All Services performed and consultations are private under NAIC Membership RPGS exclusively. No services are offered to the public.